Central Asia is a complex geopolitical region that has significant implications for global security. With a population of 66 million, it lies at the crossroads of Europe, the Middle East and Asia, and has vast natural resources, many of which are only beginning to be explored. Historically, these advantages have placed it at the heart of tensions between some of the world’s most powerful states and contributed to an array of thorny trans-boundary security issues. The governments of the Central Asian states have identified several main themes as key security priorities: water security and trans-boundary water management; energy security; terrorism; narco-trafficking; migration and human trafficking; border management and nuclear security. This article introduces Central Asia’s geopolitical significance and explores current status of nuclear security in the region. Central Asia has vast uranium resources and is a top supplier of uranium for nuclear energy. Kazakhstan is the world’s leading uranium producer and as of 2013 provided 38 percent of the global supply (World Nuclear Association 2015a). Uzbekistan is the seventh-largest supplier and is increasing production (World Nuclear Association 2015c). Kyrgyzstan has signed agreements with foreign companies to explore uranium reserves and Tajik officials claim the country has huge uranium reserves, the size of which are classified as a state secret (Kassenova 2010; Nuclear Threat Initiative 2014; World Nuclear Association 2015b). Kazakhstan recently has moved beyond exporting raw material and built a plant to process raw material into nuclear fuel pellets, an endeavour that promises even greater economic return (Kassenova 2010; World Nuclear Association 2015a). Additionally, the government of Kazakhstan and the International Atomic Energy Agency agreed in April 2015 to establish a low-enriched uranium (LEU) fuel bank in Kazakhstan, which would ensure that nuclear power plants have a steady supply of LEU if the commercial market were somehow disrupted (World Nuclear Association 2015a). Historically, Central Asia played a pivotal role in the Soviet Union’s nuclear ambitions, but the region has since become one of the greatest success stories in nuclear disarmament and non-proliferation. The Soviets mined and milled significant amounts of uranium ore across Kazakhstan, the Kyrgyz Republic, Tajikistan and Uzbekistan. After the collapse of the Soviet Union, Kazakhstan inherited 1,410 nuclear warheads and repatriated all of them to Russia by 1995. Kazakhstan also worked closely with the US government in the mid-1990s to remove half a ton of highly enriched uranium from a poorly secured facility in a classified mission dubbed “Project Sapphire” (Hoffman 2009). There is little to no risk that the Central Asian governments will attempt to proliferate or militarize their nuclear programs, given the states’ strong commitment to nonproliferation. All five Central Asian countries signed the Treaty on the Non-Proliferation of Nuclear Weapons and the Comprehensive Nuclear-Test-Ban Treaty. In a rare show of regional unity, in 2006 the five countries also signed the Central Asian Nuclear-Weapon-FreeZone (CANWFZ) treaty, which prohibits developing, acquiring, testing or possessing nuclear weapons. The CANWFZ treaty was ground-breaking in that it created a denuclearized area in the middle of several powerful nuclear countries: Russia, China, Pakistan and India. The CANWFZ treaty could serve as a model for future efforts to increase regional cooperation, because the five Central Asian states successfully navigated and resolved significant disagreements during the treaty negotiations (Kassenova 2010). Many of Central Asia’s nuclear waste sites lack sufficient security measures, however, raising the prospect of terrorists drawing from the region’s vast nuclear waste to obtain material for a “dirty bomb.” International security agencies and experts repeatedly have warned of ISIS and al-Qaeda’s interest in dirty bombs and efforts to use nuclear material in improvised explosive devices (Blake and Hope 2011; Withnall 2015). The late al-Qaeda leader Osama bin Ladin even advised the late Taliban leader Mullah Omar to look toward Central Asia for “nonconventional military industries” — a reference to nuclear expertise and resources (bin Ladin 2002). In Central Asia, there are significant amounts of uranium tailings or other nuclear waste stored in poorly secured sites or abandoned mining facilities (see the above figure). 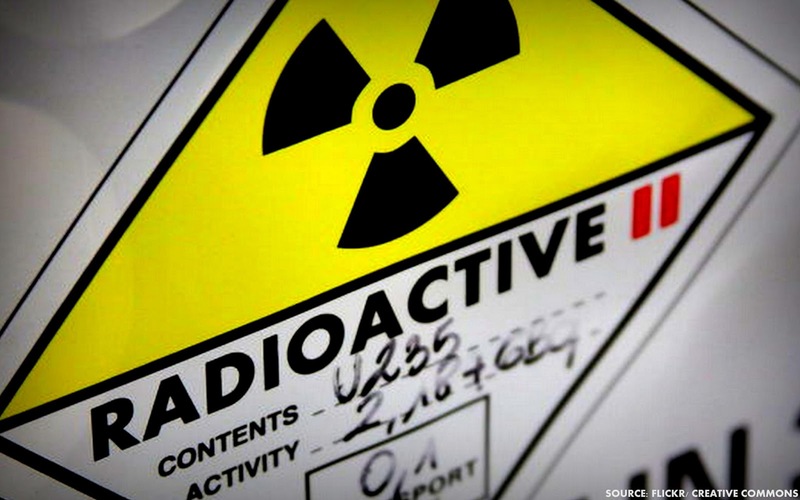 The United Nations in 2012 warned that there was nearly 55 million tons of radioactive waste in Tajikistan that was stored in sites with inadequate security measures (Agence France Press 2012). 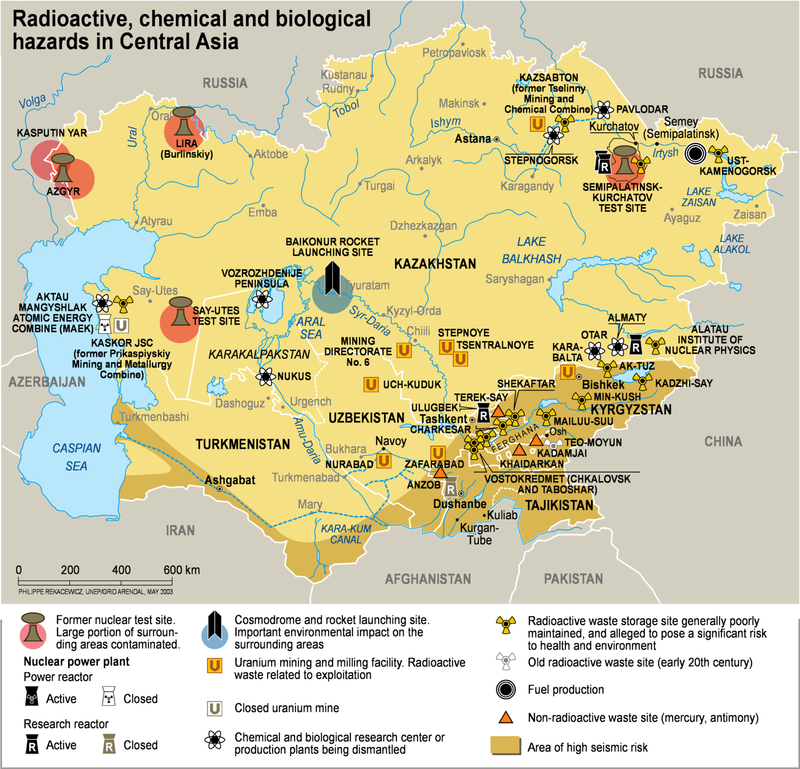 Similarly, the Nuclear Threat Initiative in 2009 expressed concern that many sites in the Kyrgyz Republic “have no security measures, allowing the general population to scavenge for radioactive metals and other waste” (Humphrey and Sevcik 2009). Additionally, the proximity of nuclear waste sites to densely populated areas and the threat of natural disaster (such as earthquakes, floods and landslides) pose significant environmental and health risks (ibid.). The five Central Asian states are aware of these threats and take them seriously, but most still lack the necessary resources needed to mitigate all risks and ensure comprehensive nuclear safety and security programs (Kassenova 2010). Jacqueline Lopour is a research associate in CIGI’s Global Security & Politics Program. At CIGI, her research interests include exploring major security challenges in Central Asia. She also works on CIGI’s Fixing Climate Governance project, which is designed to generate fresh ideas on how to more effectively approach climate change negotiations. Prior to joining CIGI, Jacqueline spent 10 years as a political and leadership analyst at the Central Intelligence Agency in Washington, DC. She provided numerous written and verbal briefings to top United States government officials and participated in meetings with various international leaders and government representatives. Her main areas of focus were political developments in South Asia and the Middle East, and she has lived in and travelled extensively throughout the region. Jacqueline holds a B.A. with Honors in English Literature and History from the University of California, Los Angeles. This work is licensed under a Creative Commons Attribution — Non-commercial — No Derivatives License.